Island Records and singer/songwriter Sigrid approached Hornet studio directors Moth with the idea of creating a music video that dealt with heartache in an unconventional way. To contrast the sweet and sensitive nature of the song “Focus,” Moth came up with the concept of a bold, frantic, yet tender landscape that would allow them to explore the experience of heartbreak through a series of bodily reactions. At the climax of the track, a decision is made to reinterpret these memories and absorb them back into the body; color and life flow back into the organs, turning heartbreak into an experience of growth rather than defeat. 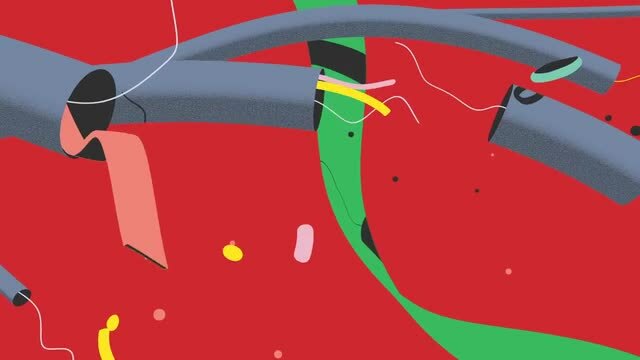 Starting with a range of colors now associated with Sigrid’s bright and bold aesthetic, Moth created different “worlds” for each organ, employing various animation techniques and software to give that part of the body its own look and feel.